It was a blissfully warm and sunny Friday afternoon (which is surprising for London) when my colleagues and I went to the Brunswick Centre for lunch. There are quite a few establishments to choose from such as Carluccio’s, Leon, Hare and Tortoise and new additions like Tossed! If you have diverse food preferences, Giraffe is a great place to go because it is renowned for its “world food” menu. As well as their own signature concoctions, you can choose from Mediterranean tapas, Oriental picks such as Thai Duck Stir-Fry and Chicken Malay Chicken, vegetarian recipes and much more. 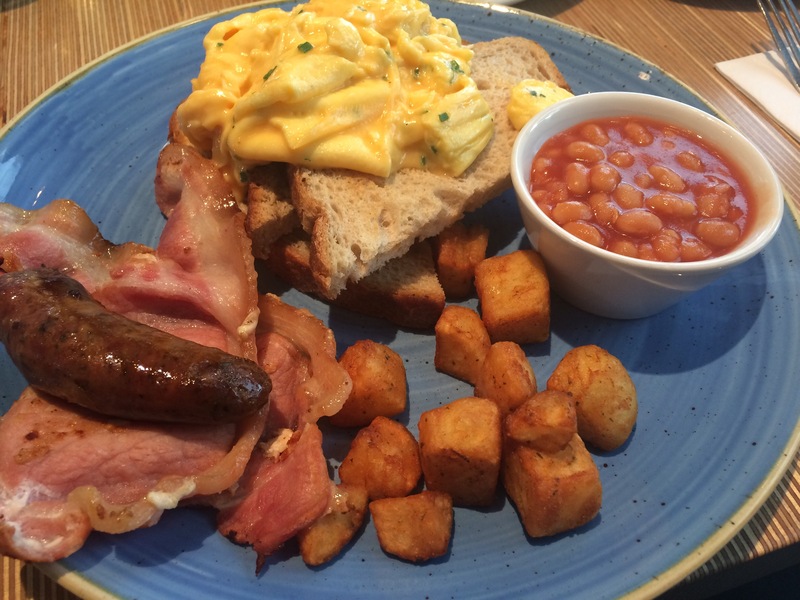 I really liked the taste of the scrambled eggs on sourdough bread with the homefries and baked beans. The bacon was super juicy but the Cumberland sausage was the little bit of a letdown. It was well prepared with spices and herbs but it was a little stiff to cut through. This fresh salad complete with a radish in a tequila lime dressing was full of sweet and sharp flavours. There was definitely a generous amount of chicken breast but it could have a bit more avocado and mango pieces. 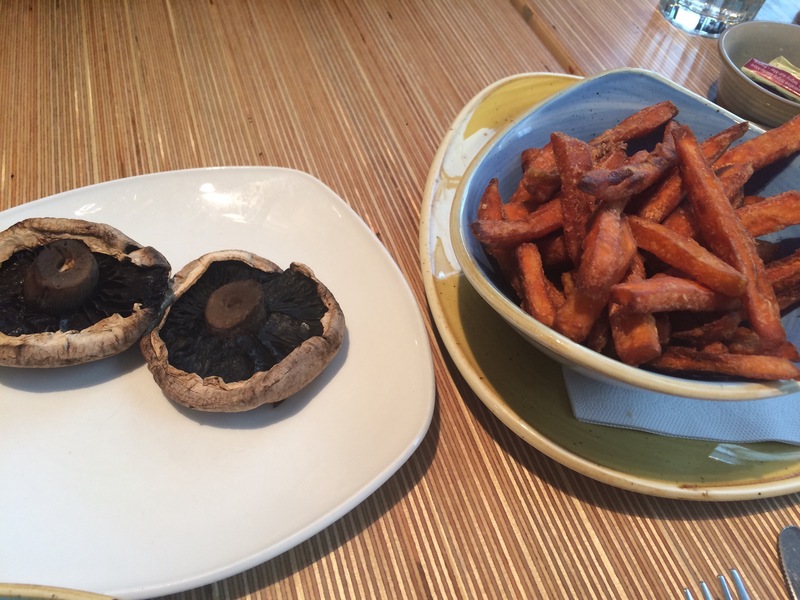 We also ordered some grilled mushrooms and sweet potato fries to eat with a Spicy Rice bowl dish. It was nice vegetation option with brown rice, peppers and onions topped off with an egg. However, removing the sugar snap peas from the mixture made the dish lack crunch and felt like a plain rice swimming in the soy sauce at the bottom. Nonetheless, we had an amazing overall experience and would definitely go back to try more food from the menu. For example, the garlic & rocket flatbread, classic American burger or Texan bbq brisket which I was eyeing on the menu. So until next time, happy eating everyone!